We're excited to announce that Debian has selected 29 interns to work with us this summer: 4 in Outreachy, and 25 in the Google Summer of Code. The Google Summer of Code and Outreachy programs are possible in Debian thanks to the effort of Debian developers and contributors that dedicate part of their free time to mentor students and outreach tasks. Join us and help extend Debian! You can follow the students weekly reports on the debian-outreach mailing-list, chat with us on our IRC channel or on each project's team mailing lists. For the tenth time running, Debian has been selected as a mentoring organization for the Google Summer of Code (Debian-specific program page), an internship program open to university students aged 18 and up. Our team of amazing mentors has cooked up an exciting list of projects this year, and we would be glad to have you on board with Debian for one of those summer internships. The student application period will open on March 14 (and close on March 25), but feel free to subscribe to our mailing list and get in touch with our mentors. You can also catch us on our IRC channel #debian-soc. We'd like to reshare a post from Nicolas Dandrimont. 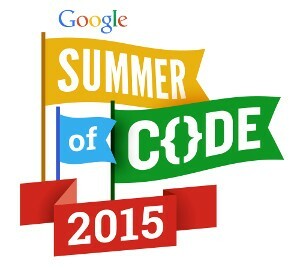 The Google Summer of Code is a program that allows post-secondary students aged 18 and older to earn a stipend writing code for Free and Open Source Software projects during the summer. Debian has just been accepted as a mentoring organization for this year's program! We're looking for students and mentors to make this GSoC in Debian the best ever! Eligible students, now is the time to take a look at our project ideas list, engage with the mentors for the projects you find interesting, and start working on your application! For more information, please read the FAQ and the Program Timeline on Google's website. Mentors for prospective projects can still submit proposals on the project ideas list. You also need to send an email to the mailing list linked below to present your project in a few words. Feel also free to propose yourself as a co-mentor for one of the listed projects, more help is always welcome! If you are interested, we encourage you to come and chat with us on irc (#debian-soc on irc.oftc.net), or to send an email to the SoC coordination mailing-list (subscribe). Most of the Debian-specific GSoC information can be found on our wiki pages, but don't be afraid to ask us directly on irc or via email. We're looking forward to work with an amazing team of students and mentors again this summer!